Winsor McCay was perhaps the greatest cartoonist of all time, and the Sunday newspaper strip Little Nemo in Slumberland is his most enduring creation. A century later, the comic medium is still racing to keep up with the richness, draftsmanship, imagination, and wonder of McCay’s fantastic storytelling and wild Slumberland universe. 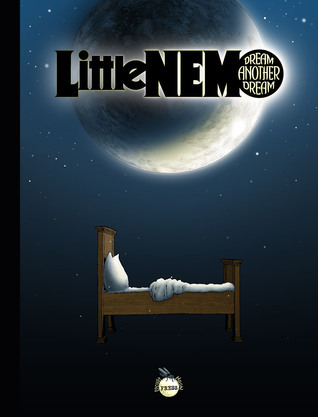 In Little Nemo: Dream Another Dream, many of the world’s finest cartoonists will pay tribute to the master and his masterpiece by creating 118 new Little Nemo strips, following their own voices down paths lit by McCay. Printed at the full size of the original Little Nemo broadsheet pages (16? x 21? ), this book will celebrate McCay’s endless legacy, chart his influence on generations of modern cartoonists, and most of all shine a light back on an artist who has given his art form so much, and whose work should be more widely known.